Do the same for a large red bell pepper. Put these fresh veggies in a food processor or blender and puree. Add a 16 oz. can of diced or crushed tomatoes. Add a couple of tablespoons of olive oil and ¼ cup of sugar. Mix. Put this tomato mixture in a skillet on the stove at a medium-high heat. Add a pinch of garlic. Let it simmer for about 30-45 minutes until most of the liquid has cooked out, and the color is deep red. When the mixture looks almost done, add a couple of tablespoons of basil. Simmer another couple of minutes. This looks absolutely amazing! I will definitely be making this 🙂 YUM! This looks so good! 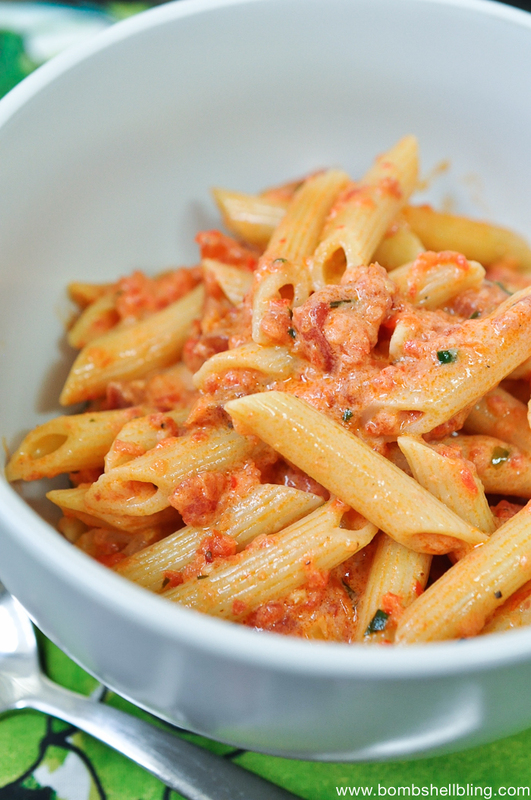 I don’t dislike red sauce but I don’t love it either – I think the creaminess is just what I need. Wow, this looks soooo yummy! Italian grandmas always have the BEST recipes. 😉 Thanks for sharing and linking up with us at the #HomeMattersParty! Hope you’ll join us again! This looks so delicious! I come from an Italian Family and don’t remember ever having anything like this. It’s definitely on my to do list very soon. Thanks for sharing your recipe with us at the Family Joy Blog Link Party this week! Please join us again next week. Ooo…I’m going to have to try this. My youngest son lives on pasta, so he will probably go crazy for this. Thanks for sharing it on Merry Monday. 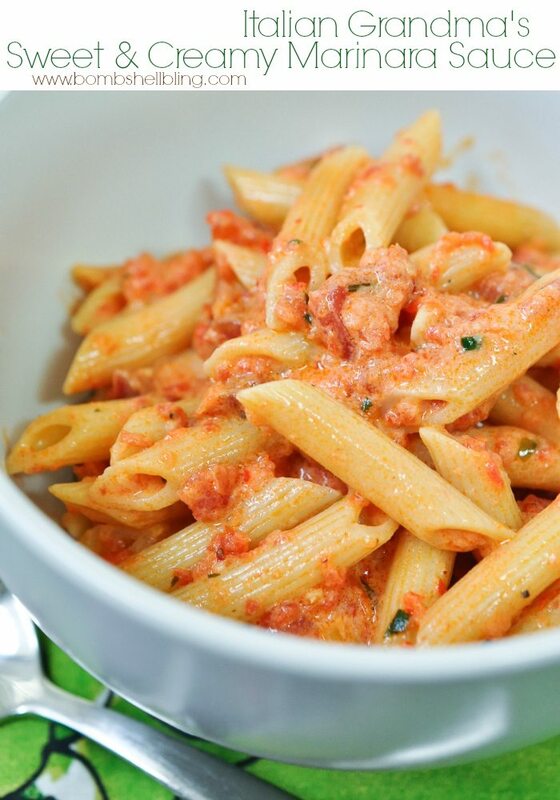 This simple sauce looks outstanding! 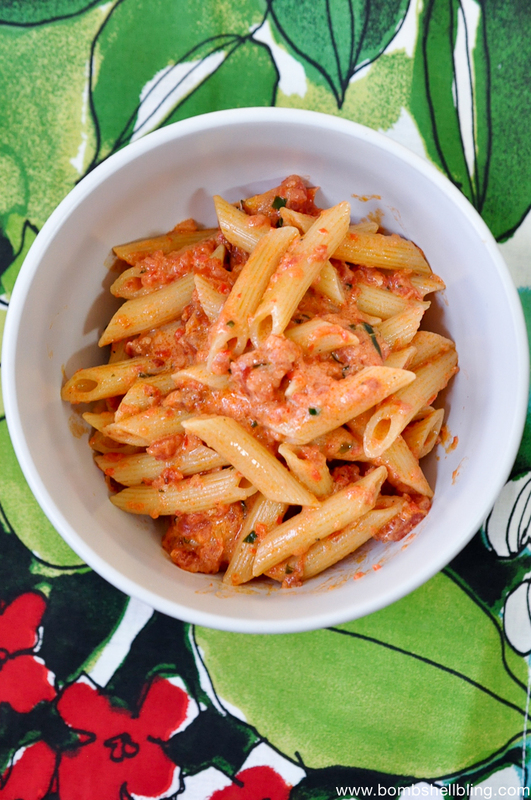 I love that you use a combo of fresh and canned tomatoes. Thanks! Pinned. I love anything Italian but have yet to master making sauce. Anything with cream has to be good! Visiting from Mini Linky Party. 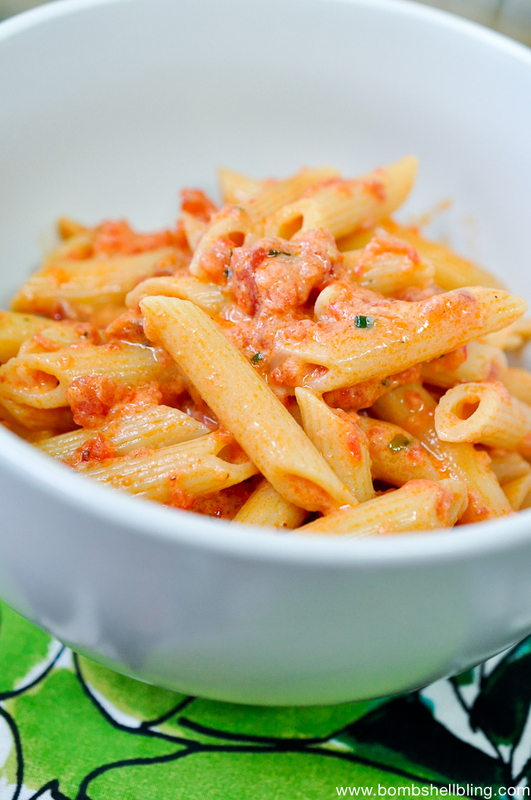 This is a fabulous Marinara Sauce, looks so good! Thanks so much for sharing your post with us at Full Plate Thursday and come back soon!